A family-run guesthouse with nine rooms and private baths, offering somewhat warm showers. The rooms were clean, though very damp – my travel companion said mouldy but I don’t think so. Mosquito nets and a fan. Wi-fi available. 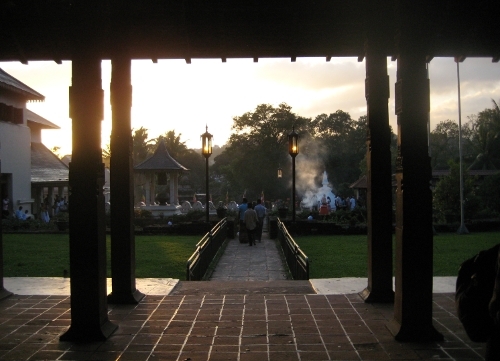 It’s conveniently located within walking distance from Sigiriya rock (about 20 minutes). Breakfast is included, very tasty dinner will be served as well if you order ahead. The family who runs the place is very friendly and helpful. The bus from Dambulla stops right in front of it. Rate: 2000 LKR for the double room, the dinner was an additional 500 LKR. If you plan to also see the Rock Caves in Dambulla and are pressed for time, do them on the same day. Start Sigiriya early at 7am and you will easily make it to Dambulla by bus in the early afternoon to spend a couple of hours in Dambulla. If you can avoid it, do not try to find a taxi in Sigiriya and instead allow for enough time to use the busses. The taxis are a total rip-off – probably taking advantage of the somewhat remote location. A hotel with about 20 rooms with fan and AC, nice shower. Breakfast included. The restaurant also serves lunch and dinner if you are interested. Laundry service available at 100 LKR per piece. Wi-fi available (theoretically) but it didn’t work when we were there. It doesn’t exactly have a family feel to it but the staff is friendly and helpful – one of many places where tips were not accepted by some of them. Conveniently located right next to the very interesting museum and the Palace District which is a good place to start out your visit (as the museum is where you need to get the ticket anyway). The hotel has bicycles for rent. Rate: 6000 LKR for the double room. Dinner is „à la carte“. If you prefer a tuk-tuk, call Manju at 071-6514804. But don’t do the whole trip: you can really walk to the museum (less than 5 minutes). Start there at maybe 9 o’clock and have Manju pick you up two hours or so later to take you to the tooth terrace etc. He was very helpful, especially as we had chanced upon a day with pouring rain – having a tuk-tuk to wait in until the worst of the downpours were over was a real plus. A family-run guest house with 15 rooms that has been operating for like 20 years. Very friendly and helpful hosts, clean rooms, mosquito nets and a fan. Wi-fi and laundry service available. Bikes can be rented, tuk-tuks will be arranged. Tasty dinner will be served (at extra cost) if you order in the morning. The tuk-tuk drivers want to give you a multi-hour tour – do negotiate the prices, mabye even checking in with the hosts, they know the prices. Tuk-tuk from new bus stand to Lake View is max. 200 LKR, less from the old bus stand. VERY clean guest house with 10 rooms, all with AC, fan and mosquito nets (though the AC was neither necessary nor working in our room). We were 68 steps up on like the fourth floor with a great view towards the lake and the Tooth Temple, balcony included. Run by a German and her Sri Lankan husband. They have a Sri Lankan buffet every night which we tried – very varied and so, so delicious (10 USD per person). They theoretically have Wi-fi but it took forever to get the code and then it wouldn’t reach our floor. Laundry service at 120 LKR per larger piece and I think it was 60 LKR per piece of underwear. Rate: 6000 LKR for the double room with breakfast. Go to Gunatilake Batiks (walking distance from Sharon Inn), they have gorgeous batiks – but extremely overpriced. Do negotiate and start offering about 40% of the proce on the tag. I bet you shouldn’t pay more than 60% but assume that’s hard to get. Same is true for the wood carving store close-by. Even though we didn’t make use of his extended services, I feel I can recommend B.M.G. Jayarathna, „Tara“ for short. He was the tuk-tuk driver we chose at the bus station (200 LKR to Sharon Inn) and he actually has a guest book that he showed to us and there were countless very detailed entries of highly satisfied travellers who went on all kinds of tours with him (he has cars and bikes for rent as well). He can be reached at tharagq1344@gmail.com or 077-9566195. A fascinating place with a lot of flair to it. The owner is in antiques and the dining room has large cupboards with all kinds of antiques on sale (he’s a certified seller) and there are more in the reception area and in the aisles. But the highlight is the sparrow family nesting in the reception chandelier in its 10th generation! The room we had was large, the bathroom had a nice hot shower. Fans etc. are not necessary, but warm blankets are and they were provided. Staff is very friendly and breakfast in the garden was quite a treat. The resort currently has 7 rooms but the owner plans to build a larger „and more modern hotel“ on property close-by, starting in 2013. Rate: 5000 LKR per double room with breakfast. Dinner is „à la carte“. Tours of all kinds can be arranged but for a visit to Mount Harrow Tea Factory of Blue Field Tea Gardens we relied on Cihan Tours. He charged 3000 LKR for a 4-hour tour and was a great guide, with a wealth of knowledge not only on tea but on just about anything you would want to know about Sri Lanka. Contact Cihan at 072-4694923 or 077-0703650. Simple guesthouse with a scary but hot shower, bring your own towel! Mosquito nets provided. 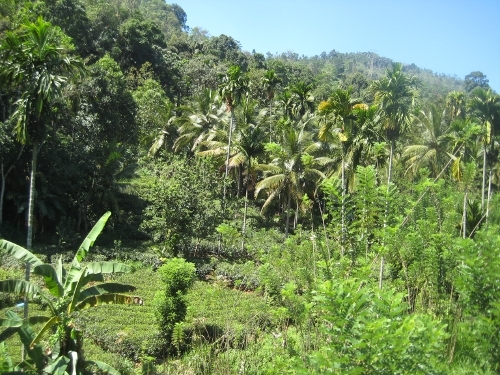 Conveniently located at the end of the village, really close to the start of the Adam’s Peak ascent. Breakfast is included (and will served whenever you get back from the night climb, usually starting at about 2 am). Dinner is included as well and was pretty good. Rate: 4000 LKR for a double room, half-board included. There really isn’t that much to say other than: excellent. 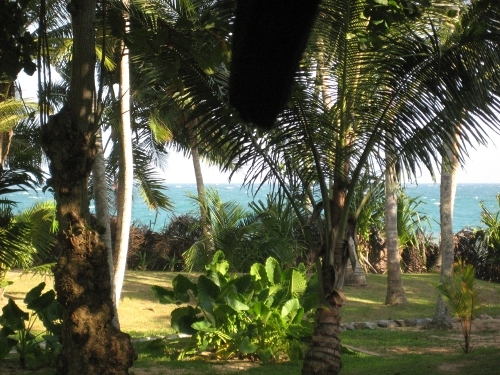 There are 22 cabanas of different sizes – we stayed in a standard one near the beach. The whole compound is one huge palm grove with lots of smaller animals around – we particularly liked the visiting chipmunks and fireflies! There’s a fan and a mosquito net so sleeping was uninterrupted once we got used to the constant roll of the waves. What we found most amazing was the love for detail – be it the little water jugs ready to douse the sand off your feet before you climb up onto your verandah or (very important for me!) the reading lamps you could get at the reception. The staff was very friendly and helpful and really did all in their might to make this a perfect stay. We chose the half-board deal and dinner was so, so delicious. There’s even a massage hut and you can book ayurvedic massages and not have to go anywhere far (and they were good, too!). Wi-fi was available in a specific Wi-fi zone only but it was good. We had planned to stay five nights but extended for a sixth after breakfast the first morning. Rate: 60 USD per Standard Cabana, half-board. Can’t say much about the surroundings because in fact we really only slept, ate, spent time on the beach and started the cycle over again. 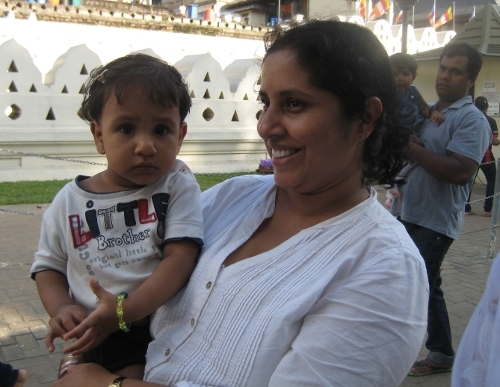 There was one brief visit to Tangalle city which I do not recommend. But there are tons of other more interesting things that you can do if want to be more active. Vollkommen überfahren war ich davon, so ziemlich überall in Sri Lanka handgemachte Grußkarten zu finden. In allen möglichen Formen und Farben und interessanten Techniken. Der Batik-Elefant oben, der auch noch diverse andere Freunde aus dem Tierreich hatte, kommt aus Kandy, von B.C.V.E. Sons. 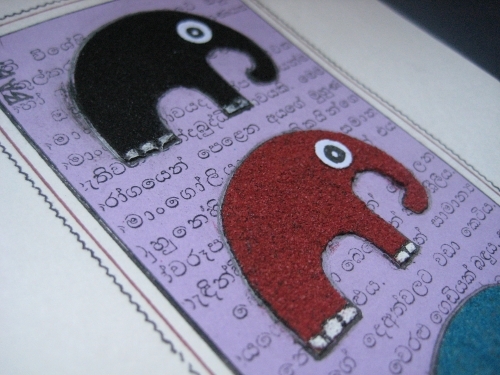 I was totally amazed to find handmade cards basically all over Sri Lanka. They came in all kinds of colors, motifs and techniques. 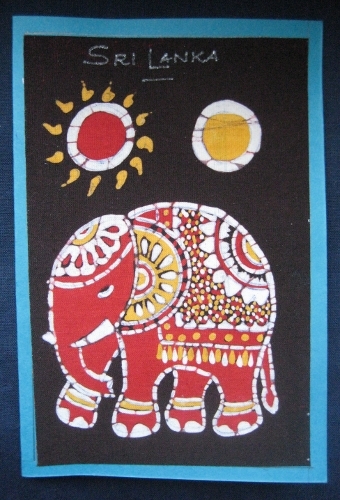 The batik elephant above, who had many more friends from the animal kingdom, is from Kandy (B.C.V.E. Sons). Ebenfalls aus Kandy sind die beiden oberen Karten, mit wunderbaren Stoffen und Embellishments gemacht. 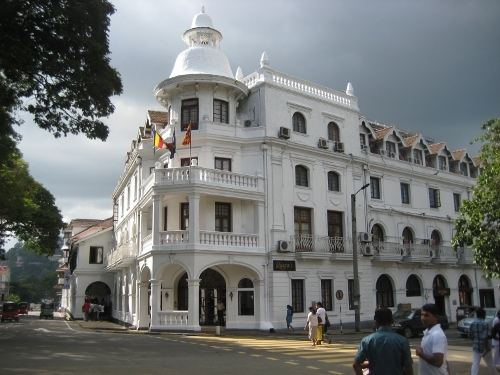 Ich habe sie bei der Kandyan Art Association aufgetrieben. Mal sehen, wer in 2013 heiratet… dann dürfte der Glückwunschträger schon feststehen! 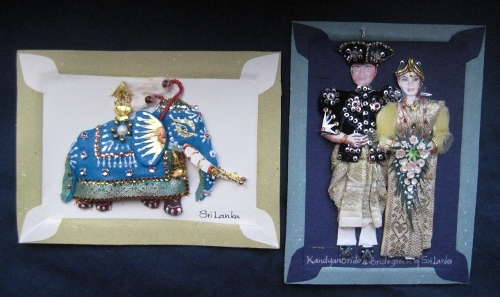 The two cards above are from Kandy as well – made with wonderful fabrics and embellishments. They were on sale by the Kandyan Art Association. I will have to see who’s getting married in 2013… the card is already chosen! In einem Geschäft mit dem ansonsten üblichen Touristen-Sortiment in Negombo sind mir diese niedlichen Kerle über den Weg gelaufen. Das Papier für die Kartenrohlinge wurde aus Elefanten-Dung hergestellt, eine relativ kürzlich entdeckte Verwendung für das „Abfallprodukt“. In one of the usual tourist shops in Negombo I found these cuties above. 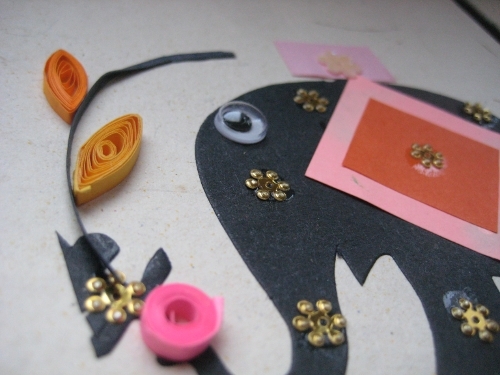 The paper for the cardstock was made from elephant dung, a rather recently discovered way to make use of the waste. Wie man sieht, sind Elefanten dann doch das bevorzugte Motiv… wahrscheinlich fahren die Touristen alle am ehesten darauf ab. Die beiden Exemplare oben sind ebenfalls aus Negombo, von Baba Shafri, einem Sandkünstler, der unter dem Label BULLOCK-CART auch ganz wunderbare Sandkunstwerke erstellt. Sein Laden lief nur so über von interessanten Kreationen, die alle von ihm sind. Ein Muss für jeden Negombo-Besucher. As you can see, elephants are a favored motif, probably because that is what tourists usually go for. 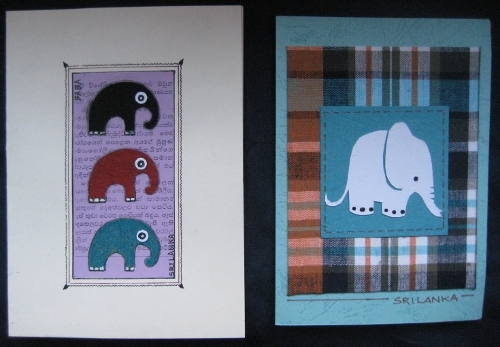 The two cards above are from Negombo as well, from the store of Baba Shafri, a sand artist who creates all kinds of things under the alias BULLOCK-CART. 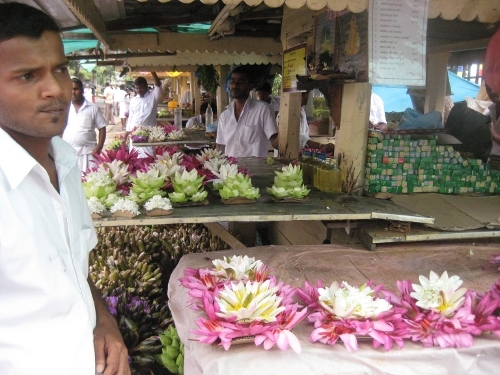 His shop was teeming with interesting creations who are all (c) Baba – a must-see in Negombo. Dann gab es aber doch auch ganz anderes: die Karten oben sind in Polonnaruwa hergestellt worden, wir fanden sie allerdings im Museum Shop in Sigiriya. Die Motive sind alle aus Blättern unterschiedlichster Art gemacht, die Karte selbst ist aus Bananenblättern. Da die Materlialien naturgemäß sehr zerbrechlich sind, sind sie laminiert, was man hoffentlich im zweiten Bild erkennen kann. Then there was a whole different technique: the cards above were made in Polonnaruwa but we found them in the museum store in Sigiriya. 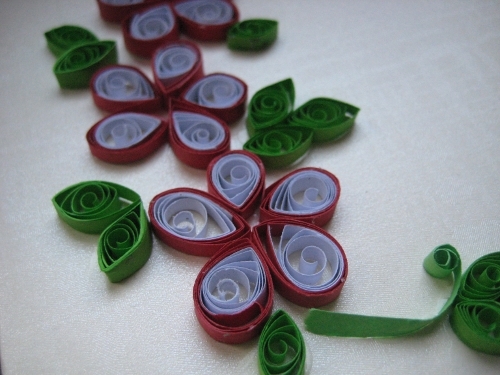 The motifs are all made from different leaves, the card as such is from banana leaf. As these materials are very frail by nature, the cards are laminated – which you might be able to see in the second picture above. Florale Motive waren im Shop des Botanischen Gartens in Peradeniya zu finden. Nach Auskunft des Verkäufers wurden sie von Schülerinnen hergestellt. I found these floral motifs in the shop at Peradeniya Botanical Gardens. The guy at the checkout said they were made by school girls. Zu guter Letzt wurden wir auch in der Post von Nuwara Eliya fündig. Die Karten oben kamen in unzähligen Motiven (von denen ich auch einen Großteil käuflich erworben habe). Die Motive sind auf Stoff gemalt, weiter verziert und dann etwas unterfüttert, so dass sie einen leichten 3D-Effekt erhalten. Über ihre Herkunft konnte ich nichts in Erfahrung bringen. Alles in allem ist wohl nicht damit zu rechnen, dass ich in 2013 selbst noch irgendwas anderes als Weihnachtskarten basteln werde – mit allem anderen bin ich ja nun ausgestattet. 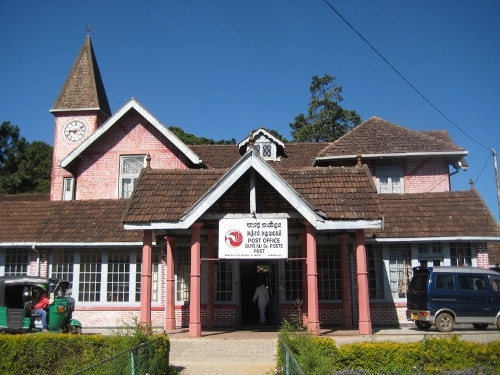 Last but not least we also found cards at the post office of Nuwara Eliya. The cards above came in numerous motifs – of which I bought the majority. 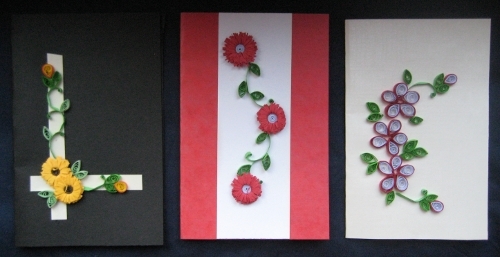 The motifs are painted on canvas, further embellished and then slightly padded so that there’s a bit of a 3D effect. I couldn’t find out who made them. 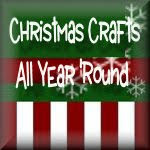 Well, it doesn’t look like I will be doing anything but Christmas cards in 2013 as I have a supply of cards for all other occasions now! P.S. : Freebie nicht vergessen – NOCH läuft es! P.S. : Don’t forget about the blog candy – you can still enter the draw! Zu Tangalle als Ort kann ich nicht viel sagen, denn den haben wir ungefähr eine Stunde begutachtet… und auch das hätten wir uns sparen können. Ansonsten haben wir für 6 Tage das Gelände der Palm Paradise Cabanas und den Goyambokka Beach nicht verlassen. I can’t really tell you anything about the town of Tangalle as we’ve only been there for about an hour… and we could have spared us even that. 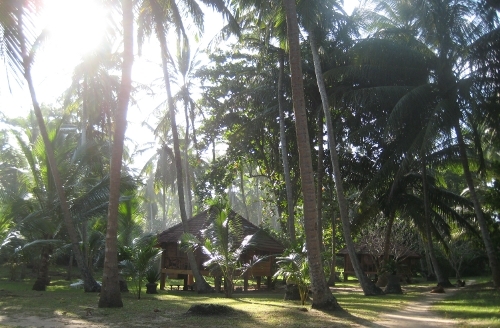 Other than that we didn’t leave the compound of Palm Paradise Cabanas and Goyambokka Beach for six days. Das war ja eigentlich auch der Plan, aber ich hatte nicht geglaubt, dass ich das durchhalten würde. Schlafen, lesen, essen, Massage kriegen, am Strand liegen, in den Wellen springen und alles wieder von vorn. That was the plan after all but I didn’t really think I would follow through with it. Sleeping, reading, eating, getting a massage, lying on the beach, jumping in the waves – and start over again. Die Palm Paradise Cabanas waren eine perfekte Wahl: wunderschön gelegen im Palmenhain, die Brandung immer in den Ohren, mit freundlichen und hilfsbereiten Angestellten, leckerem Essen, erholsamen Massagen – und soviel Liebe für’s Detail. Wir hatten 5 Nächte geplant, am ersten Morgen haben wir dann gleich noch um eine verlängert. The Palm Paradise Cabanas were a perfect choice: located in a wonderful palm grove you always have the roll of the waves in your ears, there are scores of friendly and helpful staff, delicious food, relaxing massages – and so much love for detail. We had planned to stay 5 nights but right after breakfast on the first morning we extended for another day. Und der Sri Lanka-Aufenthalt geht zuende… Viele Grüße! 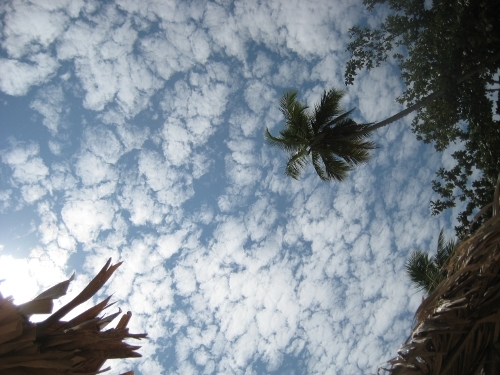 And the Sri lanka vacation is nearing its end… Take care! P.S. 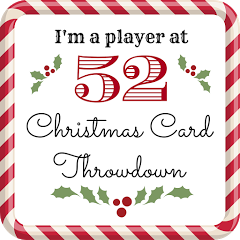 : Remember the blog candy! Die Freundin, mit der ich unterwegs bin, hatte Geburtstag. Das war mir natürlich schon vorher klar und lange habe ich überlegt, wie man den Anlass gebührend würdigen könnte. 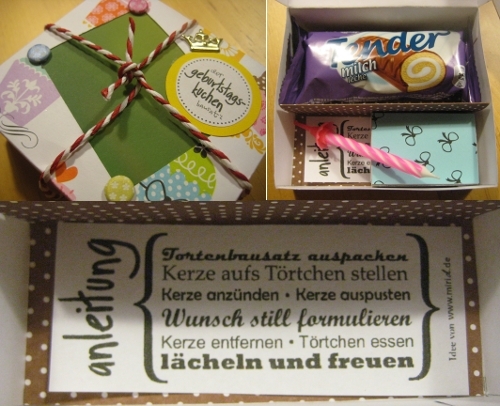 Und da fand ich auf dem Blog von Miriam Dornemann die Idee des „Geburtstagskuchen Bausatz“. The friend I am traveling with celebrated a birthday here in Sri Lanka. Of course I realized that would be the case before we left and I gave some thought to finding an appropriate way to celebrate it. And then I found the idea of the „Birthday Cake Construction Set“ on the blog of Miriam Dornemann. Perfekt für unterwegs… und ich denke, es ist auch gut angekommen! It was perfect… and I think it was very well received! Nuwara Eliya ist ganz einfach auszusprechen: Nurelia. Es ist die höchstgelegene Stadt Sri Lankas und wirkt ganz schön britisch… inklusive eines 1889 angelegten 18-Loch Golfplatzes und noch länger bestehender Pferderennbahn. Hier war es wie im Eifler Sommer ohne Schwüle – ein wunderbares Klima. Schon klar, warum sich die koloniale Gesellschaft hier einen Ort der Sommerbrise geschaffen hat. 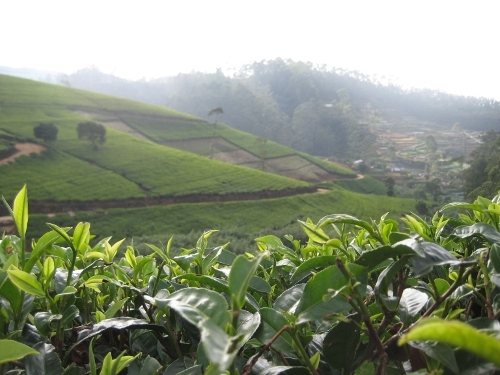 Nuwara Eliya is easily pronounced: Nurelia. 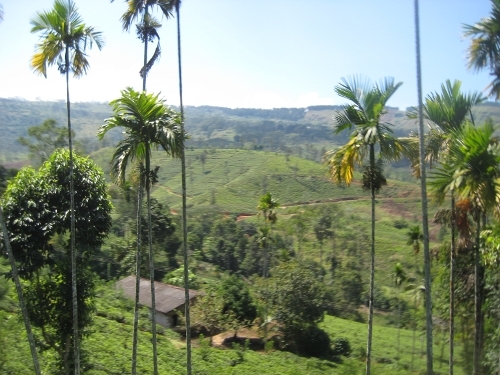 It’s high up in the mountains – no other city in Sri Lanka is located on a higher elevation. And it still has a very British look… There’s the 18-hole golf course established in 1889 and an even older track for horse racing. And the climate was gorgeous: like a summer in the Eifel without humidity. I can see why the British would have made this their preferred summer destination. Hier war und ist bis heute das Zentrum der Teeproduktion. Schon am nahegelegenen Bahnhof in Nanu Oya nahm uns ein freundlicher Herr in Empfang der uns auch gleich eine Tour noch für den gleichen Nachmittag anbot. Und weil wir leider nicht so wirklich Zeit für diesen Ort eingeplant hatten, sind wir da auch nach einigen Verhandlungen drauf eingegangen – und haben es nicht bereut. 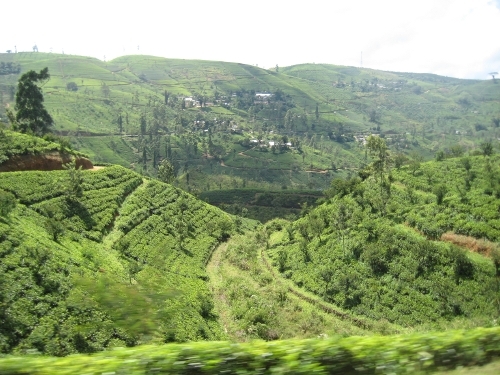 This was and still is the center of the tea production. When we arrived at Nanu Oya train station nearby a friendly man welcomed us and offered a tour of the area that same afternoon. And as we hadn’t really planned in much time for Nuwara Eliya we agreed on it after some brief negotiations – and did not regret it. Da es ein Sonntag war, haben wir in den Teeplantagen niemanden arbeiten sehen. Die Teepflückerinnen sind in einer Gewerkschaft organisiert, so dass auch die Arbeitszeiten und Pausen geregelt sind. Es bleibt aber ein Knochenjob: in den täglich 8 Stunden muss jeder laut Auskunft in der besuchten Teefabrik 20kg Teeblätter ernten. Erntet man mehr, gibt es einen Bonus. As it was a Sunday, we did not get to see any tea pickers. The ladies are in a union so that working hours and rest times are controlled. Nevertheless, the work remains back-breaking: we were told at the tea factory that we visited that every picker needs to deliver 20kg (about 45 lbs.) per 8-hour picking day. If you harvest more, you get a bonus. Wenn der Tee geerntet ist, geht der Prozess erstaunlich schnell. Ich hatte mit einigen Tagen gerechnet, aber alles in allem läuft das wohl in gut 24 Stunden. Erst wird er in diesen langen Trögen (auf dem Bild unten sind 2500 kg Teeblätter zu sehen) getrocknet oder gewelkt, dann geht es zu Sieben, Zerkleinerung, Fermentierung und dann noch zu einem 21-minütigen Trocknungsprozesses. 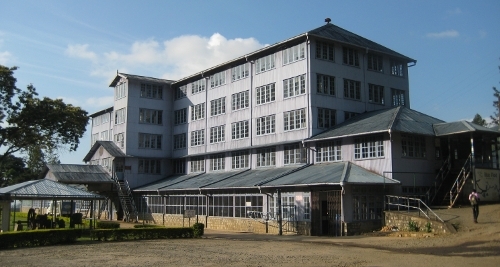 Die Fabriken sehen alle gleich aus und war im Fall der besuchten Mount Harrow Tea Factory der Blue Field Tea Gardens immer noch originalbestückt aus dem 19. Jahrhundert, was die Maschinen angeht. 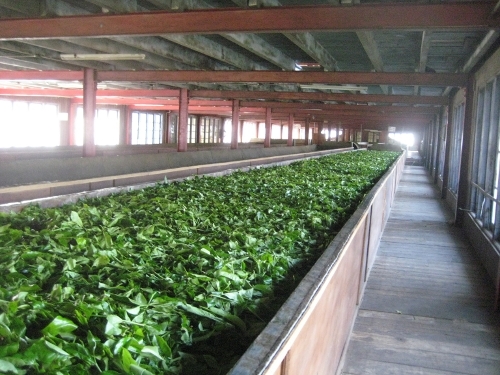 Once the tea is picked the process is amazingly fast. I had thought it would take a number of days to make the final product but it is in fact a matter of about 24 hours. The leaves are first withered in these huge troughs (you see about 2,500 kg / 5,500 lbs on the picture below) and then move on to be sieved, crushed, fermented and dried at a certain temperature for 21 minutes. These factories all look the same and in the case of Mount Harrow Tea Factory of Blue Field Tea Gardens which we visited, the machinery is still original from the 19th century. Letztlich kommt dann alles in große Container und wird nach Colombo zur Tee-Börse kutschiert, dort meist bietend verkauft und dann auch endverpackt. Das ganze Gebiet ist wahnsinnig pittoresk und größtenteils unverbaut. Das ist aber wohl in einer Änderung begriffen – was auch nicht verwundert, wenn man den Blick, den wir von der Terrasse eines im Rohbau befindlichen Restaurants hatten, genießt. Das Foto gibt die Stimmung nicht annähernd wieder. The tea is then transported to Colombo in large containers and auctioned off at the tea exchange. After that it is packaged and sent off to wherever. The whole area is picturesque beyond imagination and so far there are few if any larger buildings to ruin it. But that is about to change – and you are in fact surprised it hasn’t happened much sooner when you see the view below. We were on the terrace of a new restaurant that is still only a shell. The picture only gives you a vague idea of the actual atmosphere. It was to die for. Mit ein Grund für die verlangsamte touristische Erschließung mag die schlechte Erreichbarkeit sein… die Straße nach Nuwara Eliya gehört wohl zu den schlechtesten in Sri Lanka, hier ist Schrittgeschwindigkeit angesagt. Und wenn die Straßen asphaltiert sind, sind sie oft schmal und schlängeln sich entlang steil abfallender Berghänge. I guess that one reason for the slow onset of tourism is the limited accessability. 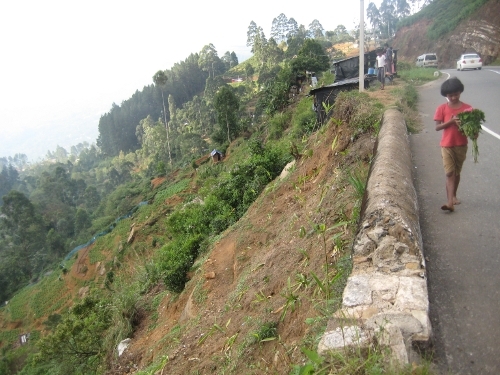 The road to Nuwara Eliya is among the worst in Sri Lanka – walking speed is advised. And even the roads that are asphalted are usually narrow and trail along steep hillsides. 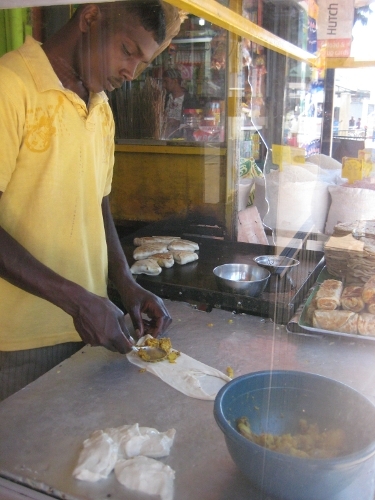 Zurück in Nuwara Eliya haben wir uns noch einige Vegetable Rotis gegönnt: ein dickes Dreieck aus Teig, dass mit einer scharfen Kartoffel-Gemüse-Curry-Paste gefüllt ist. Die sind für mich jenseits von grenzwertig, was die Schärfe angeht, aber dennoch lecker – einfach wunderbar, wenn der Schmerz nachlässt. Und deswegen muss auch noch das Foto eines Meisters seines Fachs verewigt werden. Back in Nuwara Eliya we indulged in some vegetable rotis: a bulky dough triangle filled with a very hot mix of potatoes, vegetables and curry. They are beyond what I can take spice-wise but still very yummy – marvellous, once the pain subsides. And that is why I’ve wanted to include a picture of a master of his craft. 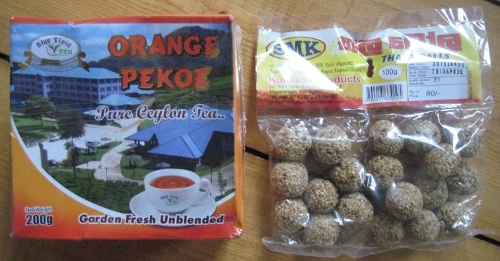 Und zum guten Abschluss des Tee-Exkurses gibt es nun noch ein sri lankisches Freebie: ich verlose 200g Orange Pekoe Blue Field Tee und eine Packung unseres Lieblingssnacks: Thala Balls. Um zu gewinnen, hinterlasst bis 12. Februar 2013 um 12 Uhr MEZ einen Kommentar, indem ihr mitteilt, was euch am ehesten zu einer Reise nach Sri Lanka bewegen würde. And now I will offer a little tea related blog candy from Sri Lanka: to win 200g of Orange Pekoe Blue Field tea and a package of our favorite Thala Balls snack leave a comment underneath this post letting us know what would most entice you to go on a trip to Sri Lanka (it closes at 12 noon GMT+1 on February 12, 2013). 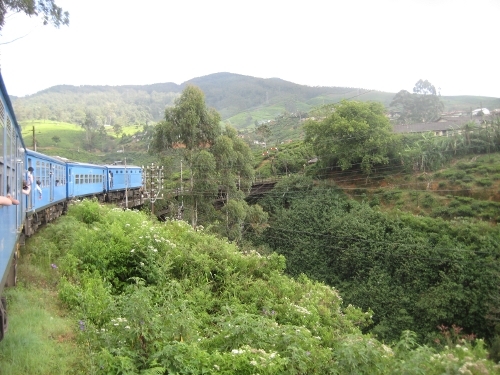 Sri Lanka: On the road… eh… rail! Bahnfahren stand auch noch auf unserer Wunschliste für den Urlaub. Ursprünglich wollten wir von Colombo nach Anuradhapura – das war aber logistisch nicht so sinnvoll. Letztlich haben wir nun die Strecke Kandy-Nanu Oya auf Schienen zurückgelegt. Going on a train ride was high on our wish list for this vacation. We had initially planned to take the train from Colombo to Anuradhapura – but that didn’t make much sense as it turned out. 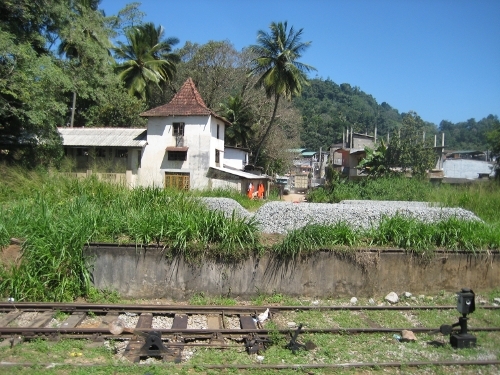 So in the end we chose to take the train from Kandy to Nanu Oya. Wir wollten mal so richtig auf den Putz hauen und Erste Klasse fahren, für umgerechnet so ungefähr 4 Euro. Aber am Tag vorher war nur noch ein Erste Klasse Ticket zu haben… und alle anderen kann man erst am Reisetag ab 50 Minuten vor Abfahrt buchen. So wurde es Zweite Klasse für 1 Euro. Dritte Klasse gibt es auch. We had planned to really do it in style this time and go First Class, for about 4 Euros. But on the day before we wanted to go, there was only one ticket left in First Class… and all others are available for purchase only on the day of travel – starting 50 minutes before the train leaves. So we went Second Class for about 1 Euro. There’s Third Class as well. Und dann gab’s eine ziemliche Überraschung: ein Top-Zug, dieser Intercity! Mehr Platz als bei der DB, alles neu, alles sauber… Fenster, die man aufmachen kann (okay, bei maximalem Tempo von gefühlt 50 km/h geht das auch), Türen gab es, aber wie auch schon bei den Bussen bleiben die die Fahrt über auf. Einfach angenehmer so. And then we were in for quite the surprise: a great train, this „Intercity“! More leg space than with Deutsche Bahn, all new, all clean… Windows that can be opened (granted: at a maximum speed of about 50 km/h that is an easy feat), doors, too, but just as with the busses they remain open for the duration of the trip. Very pleasant. Am Bahnsteig hatten wir noch einen schnieken Schaffner gesehen – mit einer Uniform, die der des Kapitäns des Traumschiffs nahe kam. Der ward jedoch nie mehr gesehen… die Tickets wurden bei Zugang zum Gleis kontrolliert und dann musste man sie an der Zielstation leider abgegeben. We had seen a very chic conductor at the station in Kandy – with a uniform that rivalled that of a captain of a large cruise ship. But he was not to be seen again…. The tickets were checked before we got to our platform and unfortunately, you had to hand them over at the end of the trip again. Nicht so angenehm war der Lärmpegel – im wahrsten Sinne des Wortes ohrenbetäubend. Aber die immer spektakulärer werdende Landschaft auf dem Weg ins Hochland hat dafür entschädigt. Und irgendwann sah man Tee. Und noch mehr Tee. Und nur noch Tee. Aber er muss ja auch irgendwo her kommen, der Ceylon-Tee. Hügel auf Hügel Teeplantagen mit Namen wie „Somerset Estate“, „Edinburgh Estate“ und so weiter. The noise wasn’t all that pleasant, though – it was deafening. But the landscape grew ever more spectacular with the ascent into the highlands. And then we saw tea. And more tea. And tea only. But it has to come from somewhere, all this Ceylon tea, right? 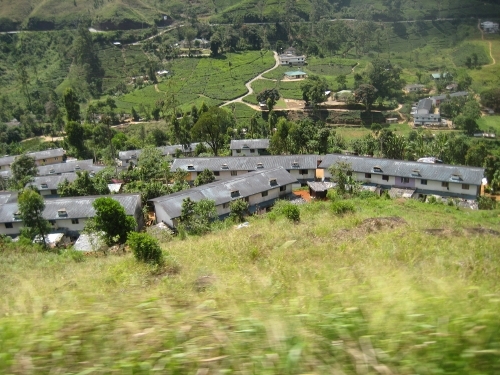 Hills and more hills with tea plantations called „Somerset Estate“, „Edinburgh Estate“ and the like. Fazit: Bahnfahren in Sri Lanka ist zu empfehlen! Mehr zum Tee folgt. 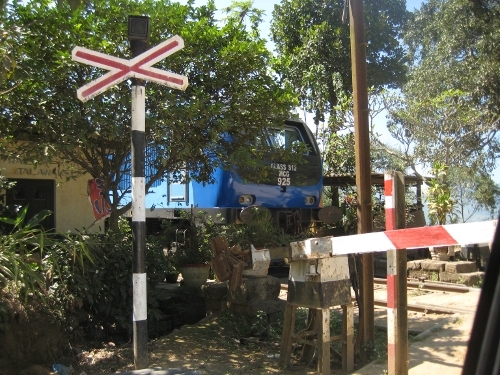 Conclusion: taking the train in Sri Lanka is recommended! More about tea later! Kandy… war ursprünglich Kanda Uda Pas Rata, „Königreich der fünf Berge“. Dann kamen die Portugiesen und kürzten auf Kanda ab, was den Briten später immer noch nicht flüssig genug von der Zunge ging und die deshalb Kandy daraus machten. Und angeblich nennen die Lokalen sie auch Maha Nuwara, die „Große Stadt“. Zwar hat Kandy wohl 160.000 Einwohner, aber alles für den Touristen interessante ist (reiner Fußweg) wohl in einer guten Stunde abgegrast: einmal um den Kady Lake. 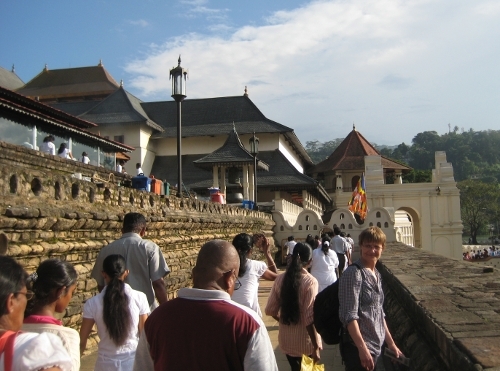 Kandy… was originally called Kanda Uda Pas Rata, „Kingdom of the five mountains“. Then the Portuguese came and called it simply Kanda but apparently that still was a tongue twister for the British who called it Kandy. Apparently, to the locals it is also still Maha Nuwara, the „Big City“. 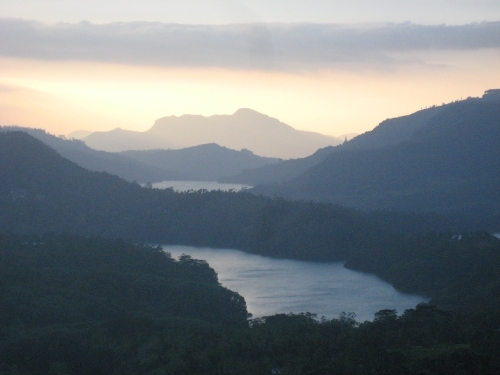 Which seems a bit far fetched from a tourist point of view because despite a population of 160,000 anything of interest can be passed on a one-hour stroll: circling Kandy Lake. Auf einem der fünf Hügel ist ein buddhistischer Tempel mit allem drum und dran: besteigbare weiße Buddha-Statue, die weit ins Umland leuchtet, Bodhi-Baum und viele Schreine… inkl. eines hinduistischen Schreins, den ich gegen Abgabe einer Spende auch mal fotografieren durfte. Segen habe ich aber keinen bekommen. Vielleicht war die Spende zu klein? Und auch immer noch fehlt mir die Antwort auf die Frage, warum in so vielen (allen?) buddhistischen Tempeln auch der Hindu-Schrein nicht fehlt. There’s a Buddhist temple on one of the five mountains: with a huge white Buddha statue that can be seen from far away (and that can be climbed), a bodhi tree and numerous shrines… including a Hindu shrine which I was allowed to photograph in return for a donation. 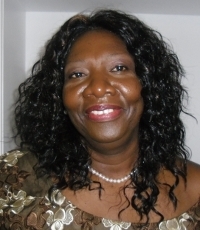 But I didn’t get a blessing – maybe the donation was not considered generous enough? And still nobody could give me a clear answer of why there are Hindu shrines in just about every Buddhist temple. Aber zurück nach Kandy. Der 26.01. war ein buddhistischer Feiertag (und somit alle von Buddhisten geführten Geschäfte geschlossen): es war Vollmond. Und jeder Vollmond ist ein Feiertag. 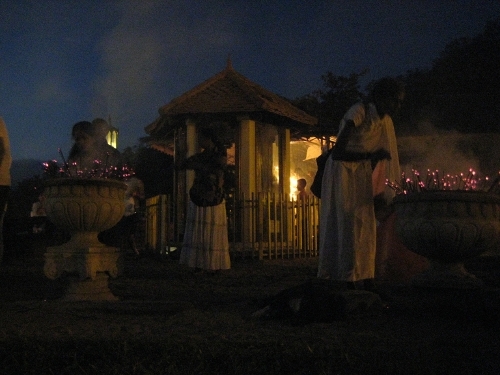 Da in Kandy der berühmte Zahntempel steht, war von der Puja, die wir in ihrer alltäglichen Form ja schon in Anuradhapura erlebt hatten, was ganz besonderes zu erwarten. But let’s get back to Kandy. 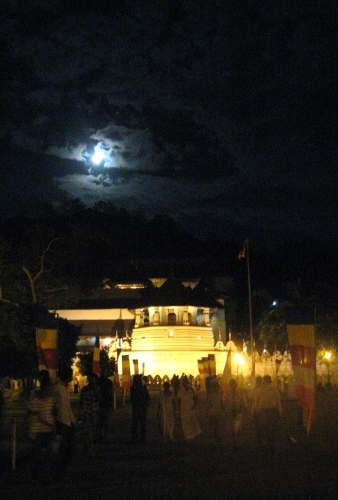 January 26 was a Buddhist holiday (and as a consequence all shops owned by Buddhists were closed): it was a full moon. And every full moon is a holiday. 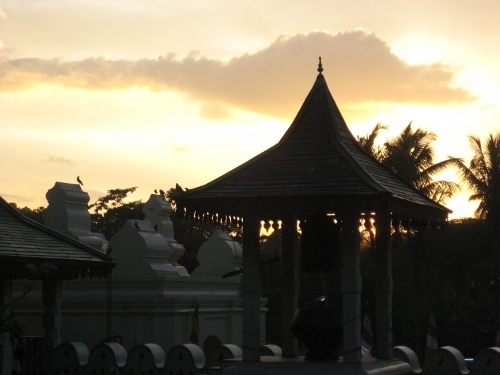 As Kandy is home to the famous Tooth Temple we suspected the pooja, which we had already visited on a normal day in Anuradhapura, to be something really special. Der Tempel des Heiligen Zahns liegt eigentlich malerisch am Kandy Lake. Der jetzt noch bestehende Hauptbau ist aus dem 17. Jahrhundert und wurde immer wieder verändert und erweitert. Vom ursprünglichen Tempel aus dem 16. Jahrhundert ist nichts mehr übrig. Dass er nur „eigentlich“ malerisch liegt beruht darauf, dass er und ein riesiges Areal drumherum durch einen hohen Zaun von der Uferpromenade abgetrennt sind und man durch Sicherheitsschleusen durch muss, um dorthin zu gelangen. Diese Maßnahmen wurden nach einem verheerenden Attentat 1998 vorgenommen. 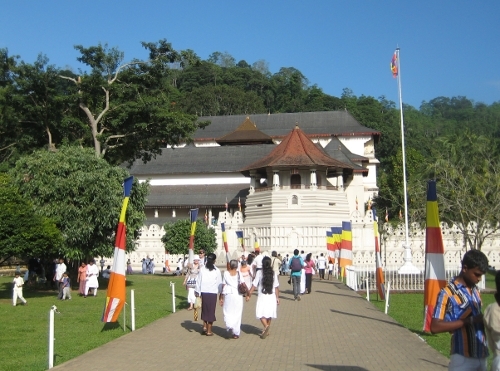 The Temple of the Holy Tooth is situated somehow quite picturesquely by Kandy Lake. 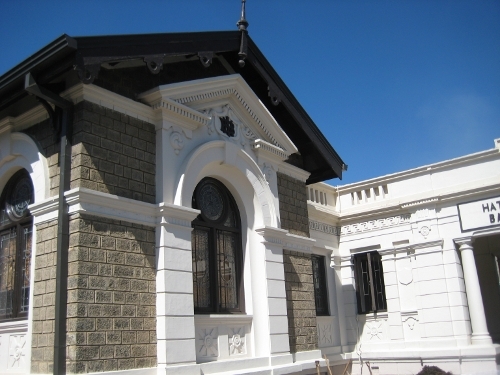 The current main building was erected in the 17th century but was constantly changed and added to. There’s nothing left of the original 16th century structure. That it is „somehow“ situated picturesquely is due to the fact that a very high fence surrounds the temple and a large area in front of it and that you have to pass security checkpoints before entering. These measures were taken after a devastating terror attack in 1998. 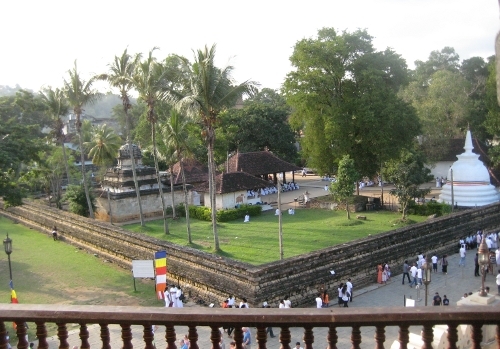 Schon in Polonnaruwa hatten wir es ja mit einer Zahnterrasse zu tun, jetzt mit einem Zahntempel. Und da gibt es noch einige ähnliche Beispiele. Und immer geht es um einen Zahn Buddhas. Da hatten wir uns schon gefragt, wieviele Zähne den Buddha wohl gehabt haben kann oder ob es sich vielleicht gar nicht um eine echte Reliquie handeln kann? Aber es stellt sich heraus, dass es immer der selbe Zahn war, der von einem Ort zum anderen gebracht wurde. Nachdem sie lange Jahre im indischen Kalinga aufbewahrt wurde, wurde sie 310 n.Chr. 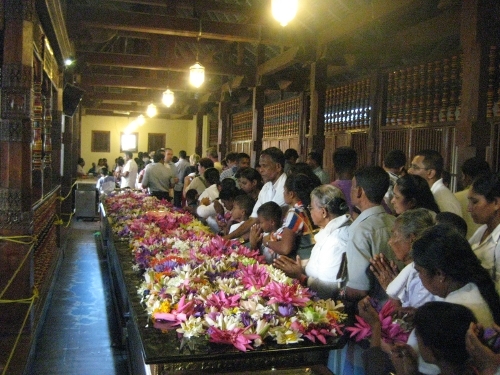 auf abenteuerlichem Weg nach Sri Lanka (Anuradhapura) gebracht: versteckt im Haarknoten einer Königstochter, die sie vor Kriegswirren in Sicherheit bringen sollte. Mit zahlreichen Zwischenstationen erreichte sie dann 1592 Kandy und der Tempel in seiner ersten Fassung wurde erbaut. We had already been to the Tooth Terrace in Polonnaruwa and now it’s the Tooth Temple. And there are a few more examples like that. And it’s always about a tooth of Buddha. We had already started wondering just how many teeth he could possibly have had or even questioned the authenticity of the teeth. But it turns out that it’s always about the same tooth that had been brought from one place to the other over the centuries. Its first home was in Kalinga, India, for many, many years but then in 310 AD it found its adventurous way to Sri Lanka (Anuradhapura): it was hidden in the hair knot of a king’s daughter who was trying to get it out of harm’s way in a war. 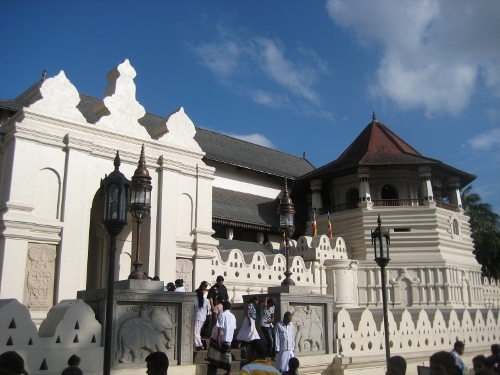 It finally reached Kandy in 1592 with many a stopover and the temple was built. Neben dem Zahntempel gibt es noch viele weitere Gebäude, bspw. eine königliche Audienzhalle, nach allen Seiten offen – ein Walmdach, das von einer Vielzahl detailliert verzierter Holzsäulen getragen wird. Ganz in der Nähe ist auch das Raja Tusker Museum, was ziemlich ausgefallenes. Dort ist der ausgestopfte Elefant Raja Tusker zu sehen, der über 50 Jahre die ehrenvollste Aufgabe erledigen durfte: den Transport der Zahnreliquie. Wer sein(e) Nachfolger ist/sind, haben wir nicht in Erfahrung bringen können. In addition to the Tooth Temple there are a number of other buildings in the huge compound, e.g. the Royal Reception Hall, without walls, just a roof that is carried by countless intricately decorated wooden pillars. Right next to it is the rather bizarre Raja Tusker Museum. You can admire the largest example of taxidermy I’ve ever seen: the elephant Raja Tusker who was „employed“ for only the most honorable work for over 50 years: the transport of the tooth. There was no mention of any possible successor(s). Wir haben uns den Komplex schon nachmittags einmal angesehen, vor der Puja um 18:30 Uhr, und schon zu dem Zeitpunkt war es ein Massenspektakel. Trotz einiger Hinweisschilder im Inneren fand ich hatte der ganze Bau etwas von einem Labyrinth. Zu Beginn durchschreitet man einen mit stilisierten Lotusblüten bemalten Gang, um die Halle der Trommler zu erreichen. Die besuchten wir auch nochmal zur Puja, aber es war absolut ohrenbetäubend – ich war nicht die einzige, die sich die Ohren zugehalten hat. We went to see the temple building in the afternoon already, before the pooja started at 6:30pm and already there were huge crowds. There were some signs of where to find what inside but still I found it labyrinthine. You enter the building(s) via a hallway that is painted with lotus flowers to reach the hall of the drummers. 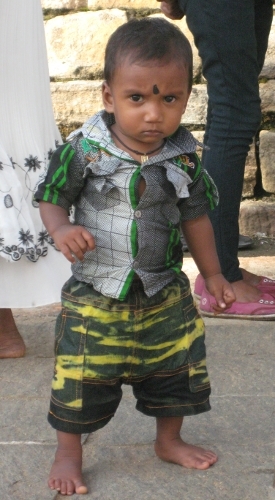 We went there again during the pooja but it was incredibly loud – I wasn’t the only one to cover their ears. … und darüber hinaus. Kann man erkennen, dass hier Leute dabei sind, Räucherstäbchen anzuzünden? …and beyond. Can you tell that these are people lighting incense sticks? Und als wäre er bestellt, stand der das alles auslösende Mond voll über dem Tempel, als wir uns dann auf Richtung Abendessen und Hotel machten. And as if upon order, the full moon which was the reason for all this happening rose above the temple when we were leaving again, for dinner and a quiet night at the hotel. Das nächste Mal mehr von unterwegs mit einem bislang nicht genutzten Verkehrsmittel! And next time you’ll hear all about using a mode of transport we haven’t used before!